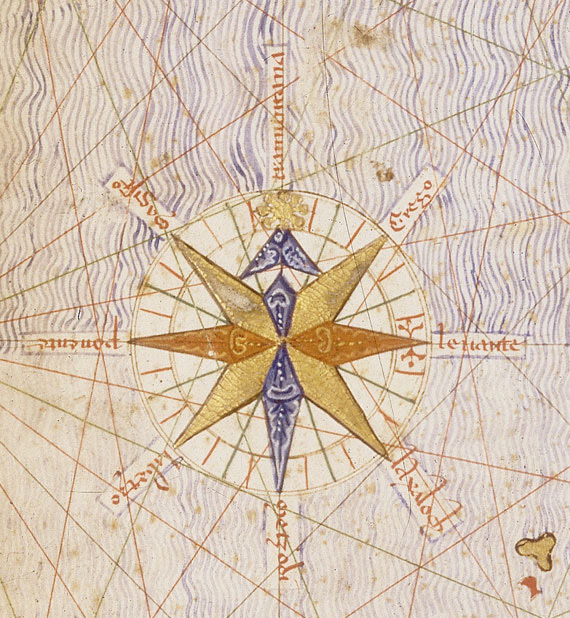 Al-Idrisi’s world map,1154. Go here to read Time’s A History of the World in 10 Maps. What do the following words have in common: orange, hazard, talisman? Can you spot a connection between the colour crimson, ghoul and a giraffe? Or perhaps spinach, sugar and an assassin? Need a mattress to recline on while pondering these connections or perhaps your inclination lies in a sofa? Words have a past, and like us a family. Some words migrate travelling long distances. 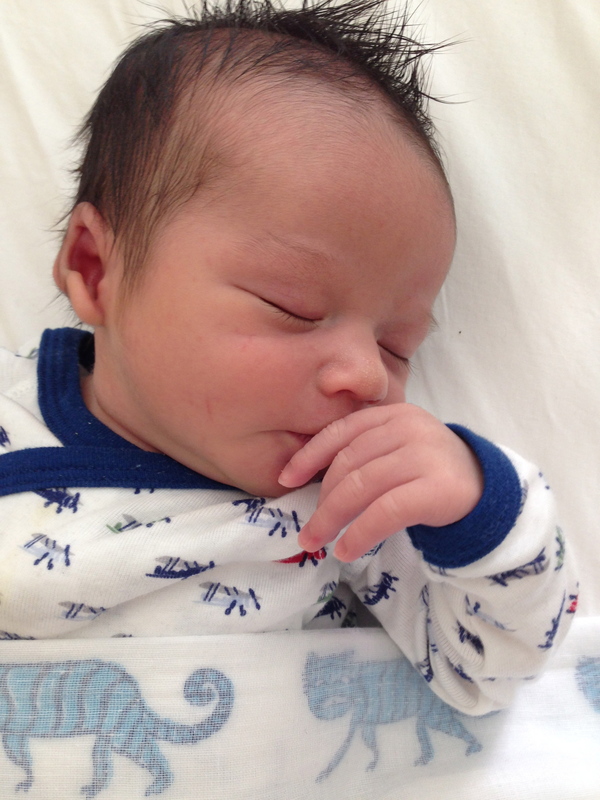 Others stay firmly rooted in their place of birth. Some have families filled with offspring, others are from small families and are self contained. All words have stories. Uncover the stories wrapped around the roots and in doing so consider the past. 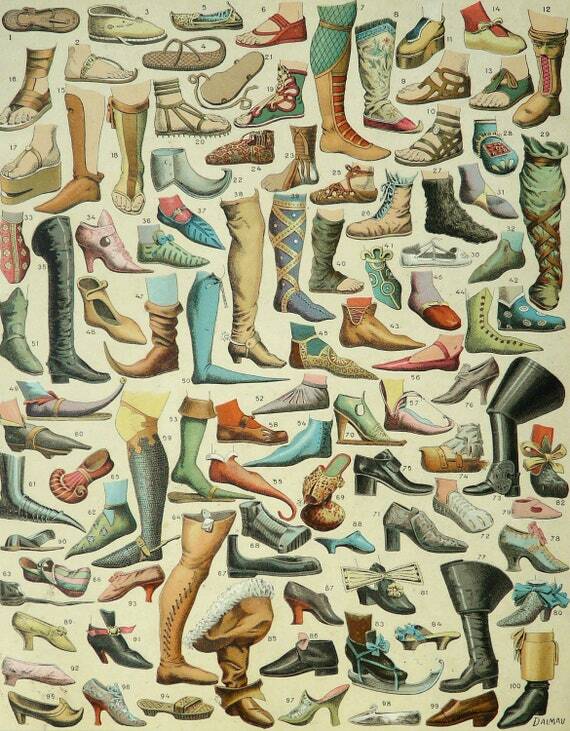 Words are artifacts of a culture as much as pots, paintings, documents and bones. Words are a window into another culture and time. This was how we began this week’s inquiry. We started with a list of words on the board. No mention of where they had come from. I just asked students which word they would like to explore. 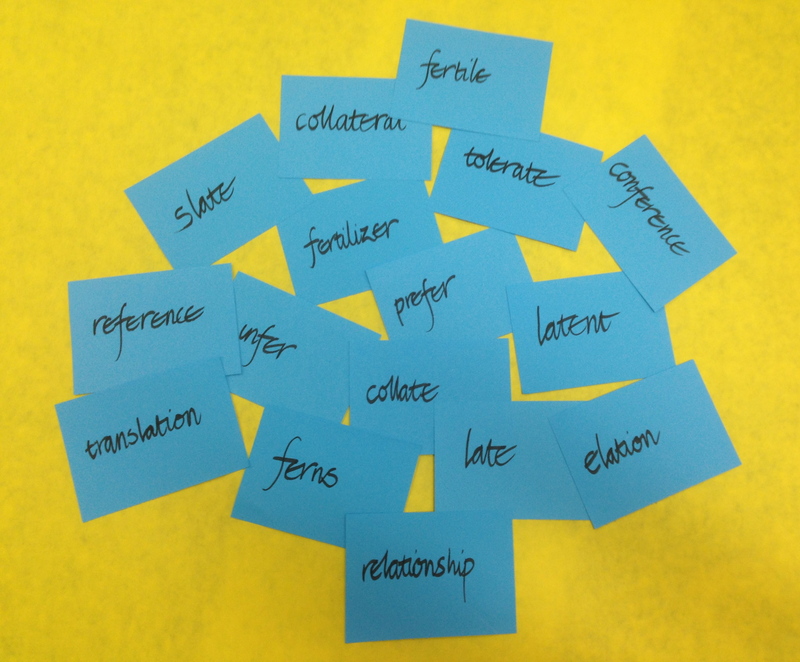 Students immediately began to hypothesize morphemes, before consulting the Online Etymology Dictionary. Many wrestled with suffixes eventually concluding that the majority of words up for consideration are free base elements today. They noticed that the majority of these words were nouns. Below are the hypothesises and stories of the journeys of a mere five of the forty words we investigated. Eventually two students traced the journey of crimson back to the dried bodies of a small scale insect known as kermes:قرمز qirmiz found on European oaks. This Arabic word in turn came from from Sanskrit krimi-ja meaning ‘produced by a worm or worm born’. Arabic qirmazi means red colour and became cremisinus in Medieval Latin then passed into Old Spanish as cremesin and from there it was a leap across the English channel in the 15th century to eventually settle into the orthographic structure we know today as crimson. Carmine arrived in English later, 1712, also from Arabic قرمز qirmiz via French carmin. Another word springing from this same Arabic root and entering England in 1480, is from Italian: cramoisy. This archaic word was mostly used in Scotland according to the OED. My students and I have recently begun to explore the OED historical thesaurus. I wondered what words were used to describe this colour before the 15th century.We discovered 39 words for this colour including crimson and carmoisy. The range is from the earliest blood-red an OE compound blodread to the most recent in the 1950’s: wine. Tuly, attested in English since 1398, was used to describe this colour but exclusively in reference to silk. The OED suggests this was perhaps in reference to fabrics imported from Toulouse. Another word murrey, first attested in English in 1400, from post classical Latin muretum , murretum meaning mulberry-coloured cloth, was used to describe this colour in heraldry and has since faded out of regular use. Many of the synonyms for crimson, as the student above had hypothesized, use blood metaphors. Bloody (attested in OE), saguine from 1382, sanguinolent 1480, saguineous 1520, blood-coloured, haemetine 1658, gory 1822, laky 1849 which ‘pertains to lake; of the colour of lake; spec. of the blood, when the red corpuscles are acted upon by some solvent.’ (OED). In 1616 Shakespeare used incarnadine in Macbeth, its root from Latin caro, carnis : flesh. In the 1590’s incarnadine meant flesh coloured. However, with Macbeth’s chilling lines from Act II sc. ii:’This my Hand will rather, The multitudinous Seas incarnardine, Making the green one red,’ the association from here on is with blood and the colour of blood. Other words for ‘crimson’ use jewels as the comparison: rubied, rubious 1616, and grenat referring to the colour of garnets, attested from 1851. The other metaphor used to describe this colour is ‘wine’ so vineaceous 1668, claret-coloured 1779, and the well known wine-dark,1855: ‘of the colour of deep-red wine; used esp. to render Greek οἴνοψ as an epithet of the sea; occas. (poet.) as n.'(OED). However, it is ‘crimson’ with its Arabic origins that is the most frequently used and familiar for this colour. 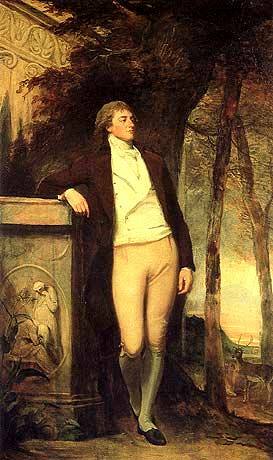 ‘The richest commoner in England,’ William Beckford painted by George Romney in 1782. Zenith is attested in English from the 14th century from an Arabic root samt ar-ras meaning ‘path over the head’. Samt created a ‘path’ from its Arabic origins into Old Spanish as zenit and Old French as cenit and once in English becoming zenith. Apparently there was a misreading from the transliteration of the Arabic etymon where the ‘m’ became ‘ni’ (Online Etymology Dictionary)The sense of becoming the highest point emerged in the 16th century. The plural form of the Arabic root samut led to azimuth. It entered English via Old French hasard, hasart, as the Online Etymology Dictionary suggests ‘possibly from Spanish ‘azar’ meaning an unfortunate throw of cards or dice,’. The claim for the Spanish azar is said to be Arabic al-zahr although the etymologist Klein doubts this suggesting Arabic ‘yasara’: ‘he played at dice’. Regardless, the word in its travels through French acquired the letter ‘d’ through confusion with the <-ard> suffix. Read more here. Again thanks to the O.E.D.Historical Thesaurus, we discovered that jeopardy, although not of Arabic origins, is a synonym for hazard and also a game of chance. Jeopardy,according the O.E.D., is also attested in English from the 13th century with a sense of ‘harm or risk’ developing in its denotation from 1374. Read more here. Apricot tells a tale of a long journey and Arabic contact. The fruit originally Chinese in origin was known in the Roman world as prunum Arminiacum or malum Arminiacum (Ayto). This term was replaced by malum praecocum meaning early ripening apple. Praecocus, Ayto notes, is a variant of praecox leading eventually to English precocious etymologically meaning pre-cooked. The Latin word praecocum moved into a variety of languages making its way via Byzantine Greek berikokkon: πρεκόκκια and βερικόκκια plural, and Arabic al biquq to Spanish albaricoque and Portuguese albricoque to Catalan abercoc and then into English in the 15th century as abrecock. The O.E.D. tells us that: ‘The change in English < abr- to apr- was perhaps due to false etymology; Minsheu 1617 explained the name, quasi, ‘in aprīco coctus’ ripened in a sunny place: compare the spelling abricoct’. The Roman name prunum Arminiacum was applied to apricots based on the belief that fruit originated in Armenia, although now it is believed to have originated in China or even India as early as 3000BC. It became known as a colour only from 1906. We discovered through these words the influence of Arabic as a significant contributor to the English lexicon. Many of these words reflect the scientific, astronomical, agricultural, economic, mathmatical, medical and architectural brilliance of the Golden Age of Islam. There were two periods of flourishing intellectual activity the first in Baghdad and the second in 12th and 13th century in Spain. We discovered that Baghdad 1,200 years ago was the capital of the Islamic world and a flourihing intellectual centre. We discovered that the Caliphs Al-Rashid, Al-Ma’mun, Al Mu’tadhid, and Al-Muktafi took a passionate interest in collecting global scientific knowledge. They gathered Muslim scholars to create the House of Wisdom, an intellectual academy that by the time of Caliph Al-Mu’uman had extended to include sections for each scientific branch so that the House was flowing with scholars. These scholars came from a variety of places, speaking a variety of languages Arabic, Farsi, Hebrew, Syriac, Aramaic, Greek, Latin and Sanskrit.Theyworked to translate the older writings into Arabic so they could build on and discuss the knowledge. First in Baghdad and later in Cordoba and Toledo, Arabic philosophy and science conserved Greek knowledge and set in place the foundations for the Renaissance and the scientific revolution. Libraries in Baghdad and Cordoba are reputed to have contained over 400,000 books. Spanish Christians conquered Cordoba in 1236 and when the Mongols sacked Baghdad in 1256 (or 1258) the Islamic Empire fell. Trade routes became dangerous. ‘Urban life broke down. Individual communities drew in upon themselves in feudal isolation. Science and philosophy survived for a while in scattered pockets, but the Golden Age of Islam was at an end’. (Mathews) Islam had stressed the importance and respect for learning. Scholars of many faiths- for a time worked side by side and while claims of harmony may be exaggerated as religious minorities did not share the same rights as Muslims, Jewish and Christian scholars nevertheless made intellectual contributions with the support of Muslim rulers. It is timely to consider these flourishing intellectual communities when reflecting on the ignorance and fear of knowledge and education that lies behind acts of terrorism today. Read about the remarkable House of Wisdom here, watch here. Look at a timeline here. Read about Islamic Spain here. The final words of this post concerning words and their journeys into English, we return to the map above and its cartographer, Abu Abdallah Muhammad Ibn Muhammad Ibn Abdallah Ibn Idris al-Qurtubi al-Hasani or Al Idrisi. Famed as both a cartographer and botanist, he was born in Ceuta, Spain, in 1099 A.D. and educated in Cordoba. Al Idrisi travelled widely through Africa, Asia and Europe gathering plants and geographic data. He gathered eye witness accounts from travellers, sailors, merchants. His commission by the Norman King Roger II of Sicily to create a current map of the world led to an 18 year stay in Sicily and the creation of remarkable geographic references including a silver globe for King Roger II, and ‘The Nuzhat al-mushtāq fi’khtirāq al-āfāq (Arabic: نزهة المشتاق في اختراق الآفاق‎, lit. “the book of pleasant journeys into faraway lands“), known as the Tabula Rogeriana (lit. “The Book of Roger” in Latin Al-Kitab al-Rujari (Roger’s Book).This is was a geographic encyclopaedia, containing information not only on Asia and Africa, but also Western countries. The book was written in both Arabic and Latin showing the world as a sphere and dividing it into seven climate zones with details about each. Of Britain he noted, it “is set in the Sea of Darkness. It is a considerable island, whose shape is that of the head of an ostrich, and where there are flourishing towns, high mountains, great rivers and plains. This country is most fertile; its inhabitants are brave, active and enterprising, but all is in the grip of perpetual winter.” Read more here Tabula Rogeriana. Students are writing essays considering the various decisions Odysseus makes throughout his journey. They analyze these decisions in order to consider Odysseus’s character. 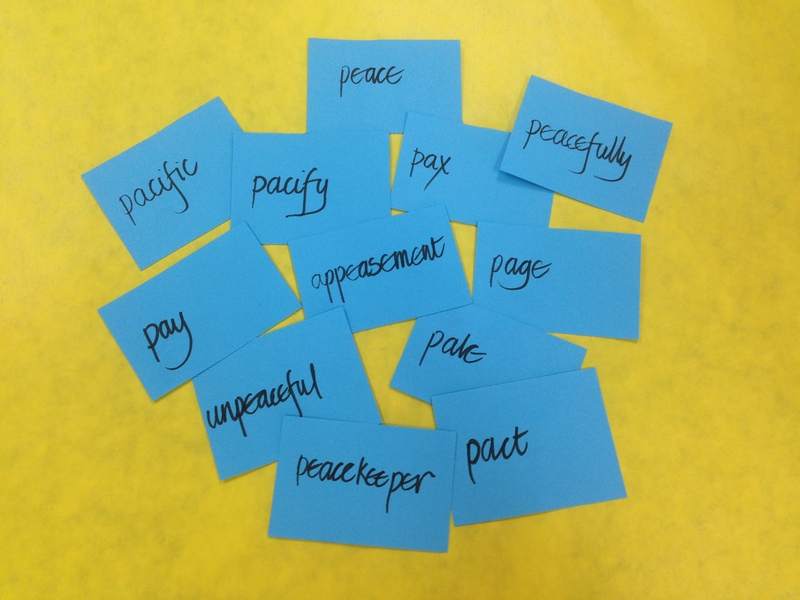 We now have a rich bank of words from our previous work that reflects heroic qualities : determination, resilience, persistence, resistance, courage, selflessness, compassion. We have argued about what makes a hero a hero. We have listed flaws we see in Odysseus, Theseus, Perseus: impulsivity, curiosity, pride, arrogance. As these were words understood by many of the students we began by wrestling with the nuances of meaning. In order to tease out the meaning, to go beyond the surface, I discouraged students leaping to the dictionary as their first port of call. I have to remind myself that these are the words that are the crux of our year. Students do not have to have bleed, dissect and beat out the meaning of every word, extort every relative in the first few sessions. 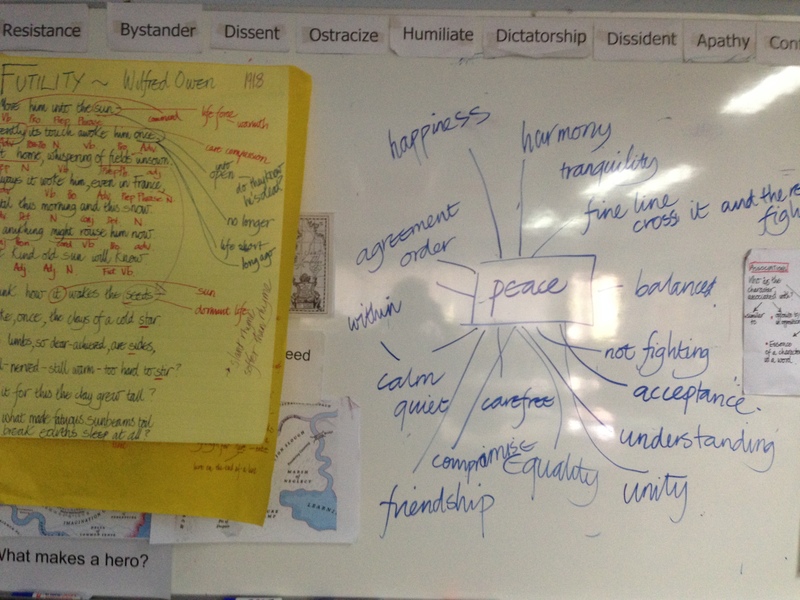 Of course to know this deepens their understanding and I know would make their thinking about Odysseus even stronger. However, these words apply in many instances to the texts and issues we examine throughout the year so we will have countless opportunities to revisit our thinking. For now, our focus is to ‘listen’ to one another and explore what we understand about the meaning of each word so far, to consider the morphemes and the related words . This is the thinking so often necessary before leaping to the dictionary and getting caught up in the ‘right answer hunt’. So initially we focus on our collective understanding. By giving time to hypothesize and question each other, when we come to the resources our understanding may then be deeper. We may understand the roots with greater clarity, truly see what lies behind each word, what common meaning is threaded through each of the related words. Too often in the last few years I have noticed students’ frantic rush to ‘google’ the answer, blindly accepting this rather than giving themselves the time and space for conjecture. Nevertheless, we are driven by time to examine all words at the same time!! Wretched time!! How, to explore all words without shallow superficiality, without me ‘giving students the answer’? How to allow enough time for all voices to be heard, for all to respond? We use the strategy of silent conversations. In building a silent conversation (see explanation here from Facing History, Facing Ourselves), students talk with their ‘pen’.This activity slows down student thinking and allows them to focus and comment on the collective thoughts of others. Rather than one or two dominating the discussion, all students, shyer, less vocal, have a voice. Watch these ‘conversations’ in the video clips below. To complicate the task, although I like to think of as adding another rich layer(! ), students were able to select from roots that I had written out and place these to the word they believed had orginated from this etymon. You’ll notice that I have not indicated the language of origin, Latin, Greek, Old English. Nor did I give the meaning of the root. This time I want students to notice how letters from the root surface in the base element. Matching root to word will help students in a later session work through the entry in the Online Etymology Dictionary. This helps them to go beyond the first layer in time, to dig deeper into the word’s past history. 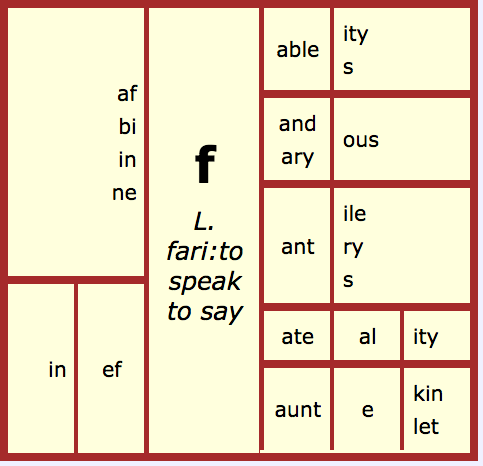 At the same time it helps students consider why there may be a vowel shift, to see that the Latin infinitive suffix <-ere>, <-ire>,<-are> is shed in its English adoption. I modelled the process with the word integrity – a quality we felt heroes possess but not necessarily present in mythical Greek heroes. We asked each other questions such as what is an act that shows integrity? What does it mean to act with integrity? We recognized that to do so could often be hard as one student recognized you do what’s right within but it may mean being at odds with your peers. Another student commented that you act with the truth within, you do what’s morally right. Another said the actions don’t chip away at your soul, or the inner you. Students picked ‘tangere’ from several possibilities as the most likely root to match to the present day English word integrity. They were several hypotheses as to the morphemes with everyone finally settling on <in+tegr+ity>. Finally students have consolidated their word inquiries and applied these understandings to develop their thoughts about Odysseus. 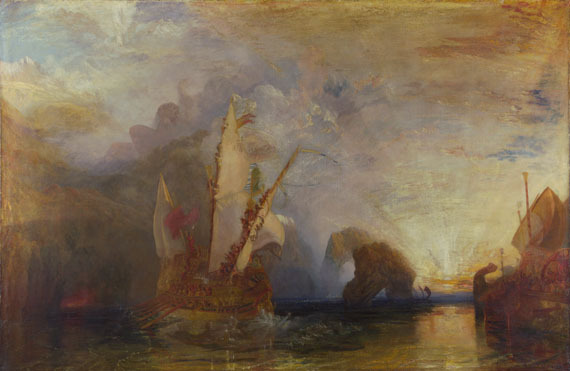 Ulysses deriding Polyphemous, 1829 Joseph Mallord Turner. I love Turner’s watery, light filled painting. Look carefully and you will see Ulysses (Odysseus) crying out his name to Polyphemus, the cyclops- pride, hubris, gloating? This is the moment of bringing down Poseidon’s vengeance. The horses of the sun rise above the horizon. All are enveloped in the fiery light. We groaned as Odysseus invoked this curse and have travelled with him through every obstacle this trimester. We have finally reached the shores of Ithaca alongside that ‘man of many troubles’, witnessed Odysseus’s homecoming, seen the welcoming by his loyal dog and been aghast at the slaughter of the suitors and handmaidens. On this odyssey many of these internationally diverse students have empathized with Odysseus’s nostalgia. We understand that the word nostalgia is of modern coinage, the 18th century in fact, drawing on Greek roots νόστος:nostos:home and ἄλγος:algos pain, grief after German heimweh itself a compound of ‘home’ and ‘woe’. Ayto mentions Joseph Banks, botanist, who in 1770 on Cook’s voyage noted this condition, then regarded as a mental illness:’The greatest part of them [sc. the ship’s company] were now pretty far gone with the longing for home which the Physicians have gone so far as to esteem a disease under the name of Nostalgia.’ Nostalgia has weakened over the years so that today it is regarded as sentimental, more of a wistful yearning.We use homesickness which entered English in1756 as a translation of Swiss heimweh for this intense longing for your country of birth. Homesick is a backformation of homesickness and was not attested in English until 1798 as an adjective. Read a detailed account of nostalgia in the Online Etymology Dictionary and discover how this condition was regarded as a serious medical issue by the North in the American Civil War. Thomas Rowlandson’s 1811 painting Two O’clock Ordinary. An ordinary is a public eating house where meals were served at a fixed time and set price – all in order!!! The house inspiring Rowladson’s painting is Hornsey Wood House which offered ‘Hot roast and boiled from two to five/ Dinners drest on the shortest notice’. What is a hero? What are the qualities that make a hero, a hero? Lengthy debates. I challenged the classes over the fatuous statement echoing in the classroom, ‘We’re all heroes’. Really? 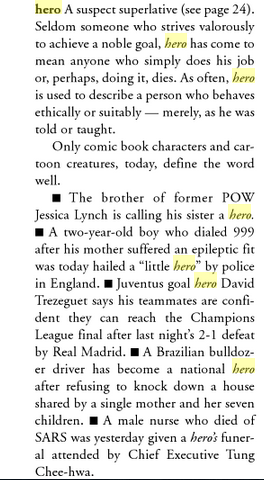 Why the word ‘heroism’ if it’s that common, if we are all heroes? Today it seems as if the word is being drained of substance, is becoming bleached and bland, a flabby, empty word through overuse. In order to go beyond the banal, we explored the words ordinary and extraordinary and then actions that go beyond the mundane. Eventually our thoughts shifted from the realm of anyone helping, inevitably the hapless elderly, across a road or standing to give the elderly (again) a seat on a train or a bus. 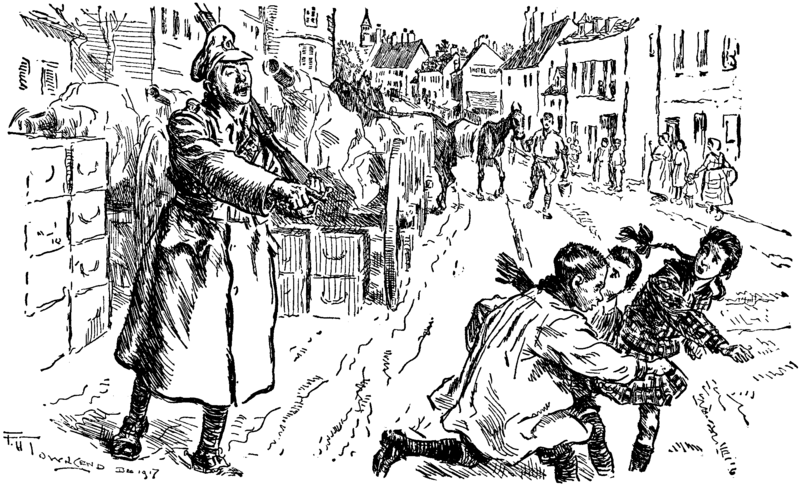 Do acts of heroism only involve the elderly? In the scenarios painted by my classes, the elderly figured prominently as recipients of heroic action, as well as unfortunate cats apparently stuck in trees! Below Jack Smith captures the actions of the everyday, the ordinary, at least ordinary in London 1953. Smith was one of a small group of British painters known as kitchen sink painters so called because they painted the ordinary, everything, including the kitchen sink. Jack Smith’s 1954 painting of Mother Bathing Child provides a glimpse into an ordinary life in London . ‘Ordinary’ as an adjective is of Latin roots from ordo, ordinus arriving in English in the 15th century via France. Did you know that as a noun, its use was common up until the 19th century? Rowlandson’s image of the chaotic ordinary, the initial painting in this post, shows it to be synonymous with tavern. 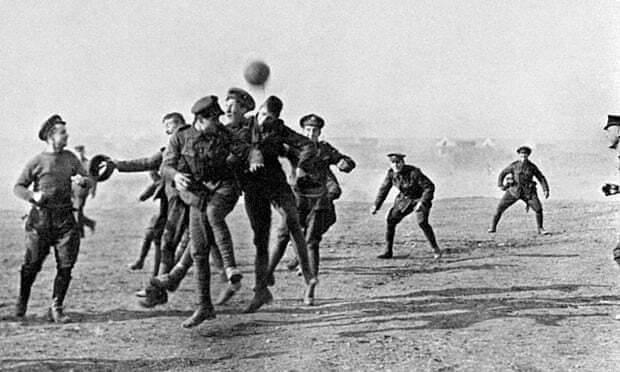 The only surviving use of ordinary as a noun today is in the expression ‘out of the ordinary’. We saw the related word order as a noun was older, attested in English from the 13th century .We discovered from the Online Etymology Dictionary that its root, Latin ordinem, accusative of ordo ‘order’ had a sense of ‘rank, a series or an arrangement’ which originally referred to the threads lined up in a loom! So from ordo we have ordain, order, subordinate, ordination,primordial.With the discovery of primordial and ordain ,we hypothesized that the morphemes: <ord+in(e)+ary>. There was even more to discover. In 1200 the verb order meant ‘to give order to, to arrange’ and it was only in the 1540’s that it took on the sense to command, give orders to. The noun orderly 1781 meant someone who carries orders, broadening later to hospital attendant, so someone assigned to keep things in order. We discovered too the clipped form ordnance from ordinance referred to military equipment, artillery then to the branch of the army concerned with stores of materials. The ordnance survey of Britain was conducted in 1833 under the direction of the Master of Ordnance. We wondered about primordial– a compound surely, therefore two base elements. So why no <e> in the final position of the first base <prime>? <prim(e)+ord++i+al>? Perhaps we wondered because it was already primordialis in Latin, already a compound with no final <e> in its base. Further surprises were the order of the day when we discovered the Latin past participle ornare from ordo had led to words such as ornate, ornament, adorn meaning to ornament, to fit out with. Suborn, anew word for both the students and me, meaning to bribe to bring about a wicked purpose, to lure someone to commit a crime. 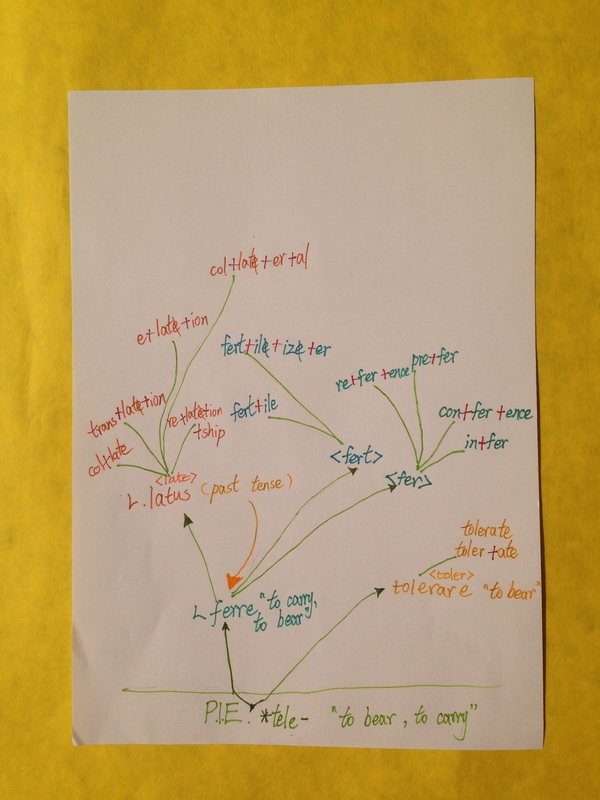 In constructing the word sum for ornament we wondered if <a> was a connecting vowel letter in the word: <orn+a+ment> and thought of predicament, testament, ligament and fundamental as support for the connecting vowel letter<a> hypothesis. Ornament as a noun is attested from the 13th century, but in the verbal sense not until 1720. Odysseus ‘s choice to proceed past the monstrous Scylla. Telemachus’s choice to go in search of his father. The rescue of a cat from a tree. The nine African American students known as The Little Rock Nine who chose to attend the previously all white Little Rock High school, Arkansas in 1957. Watch below. The young man who attempted to stop the artillery tanks of China’s People’s Liberation Army in the aftermath of the violent gunning down of protesters in Tianamen Square on June 4, 1989.His fate remains unknown but he remains a symbol of peaceful resistance as he stands defiantly before tanks clutching a shopping bag. Watch the extraordinary footage below. Considering the choices by all these characters, has certainly helped sharpen the discussion as to what constitutes heroism. Watch a clip from the documentary Eyes on the Prize concerning the Little Rock Nine. Occasionally we witness the extraordinary as seen in the non-fiction excerpts above. 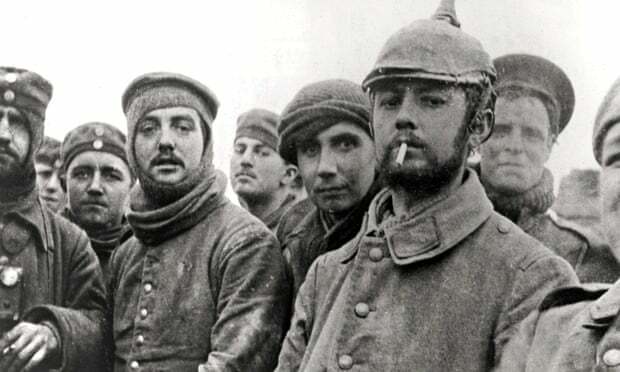 Nicholas Clairmont at Big Think reflects on heroism:“Heroism matters because symbolism matters. Let’s stop the hyperbole so that we can truly honor a great and rare human trait when we do see it. Let’s strive to bring ourselves up to heroic levels, not to bring the definition of “hero” down to us.” Read the full article here at Big Think’s, The Proverbial Skeptic blog : You are Not a Hero and follow the links to some real heroes. Monsters and Money in Temples! Sheer Lunacy! Is money related to ‘Moon’? If who is seeing this is not who I seek, send this post to Ms. Whiteley of one of the classes in the high school section in ISKL Ampang Campus in Kuala Lumpur in Malaysia’s western island, Malaysia, Asia, Earth, the Solar System, The Milky Way, past black holes, The universe. I have a question to ask one of your English classes. My students were recently studying the days of the week and the meaning behind each day. When we were talking about Monday and making the connection with the base word ‘mon ‘ with month and Monday to the moon, a student asked what about money? Are they connected? We were thrilled by the Grade 2’s inquiry. We were thrilled they were asking us word questions. However, school was out for two days due to parent teacher conferences. Nevertheless, one student volunteered to tackle this inquiry. Here are three emails I received from my student over her break. Here is her next email!! I don’t think that money has any connection, because both Monday and month, they “technically” have a connection. Like, I’m not sure about this, but many cultures (including mine) follow a lunar calendar. (I found some information about why Monday would be the “day of the moon”. It’s after mythical gods and goddesses–Monday coming from Diana or Artemis! )Money comes from the old French monoie, which means coinage or metal currency. I think the reason why the Grade 2 kids thought of it that way was because of the “mon”. While Jahnavi discovered that money came into English via French, I urged her to dig deeper. Apologies for any confusion while pointing to the PIE root( Proto Indo Erupean root) and calling it Proto-Germanic! Month and moon are related. Both come from really old roots. Languages have a history- just like you do. You have parents and they had parents and those grandparents had parents and …you get the idea I’m sure..those people are our roots. So it is for words.Words have roots – they come from different places and different times. Some words are old and their roots even older. Monday came from two Old English roots one is mona : moon which has given us the present day English word <moon>. The other root is also Old English: dæg and this has given us day. So Monday is literally moon’s day. As it has two base elements <mon +day> we have a compound word. A compound word is a word with two or more base elements. In Monday we have a bound base element <mon> .Bound bases mean that that the word, in this case <mon> , can’t stand alone and make sense. It needs another element – in other words another affix or another base. Well Monday of course has <day> a free base element. This Old English word mona, moon, goes way back, 5,500 years in fact to a root *menes– which meant both moon and month and that goes back to another really old root *me- which has led to the word measure!!!! !So think about measure and month and moon!!! All have a really old root in common. If we think about month it’s the measurement of the moon’s cycle. And if you are thinking moon and month… see what you can find out about lunar. There’s a big hint below. What is the base element here? Also you might be interested to think about the word crescent which describes the appearance of the moon in part of its cycle. How are crescent and croissant related? Find out about the story behind those words? As for money: We think it’s a free base element with absolutely no connection to month and moon. We want to remind you that just because there is the same string of letters in a word does not mean that they share the same morpheme ( that is prefix, suffix or base element). To be related a word has to have the same root and the word money comes from a Latin root monere to warn, to advise!!! What has warning and advising got to do with money you are wondering? Well, here’s what Jahnavi found out. Money is a fairly old word. It came into English in mid 13th century (a long time ago but moon and month are older!!) Money came via France and before that from a Latin word moneta (Latin is the language spoken by the Romans). The Latin root moneta meant place where money was made or a mint. This Latin word moneta was also the title or surname for the Roman goddess Juno so Moneta (note the capital letter). 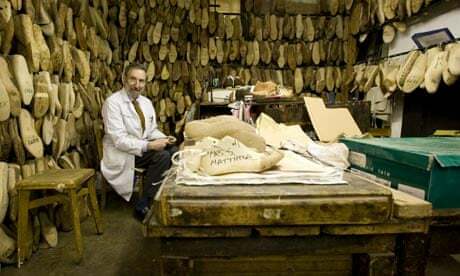 Etymologists (people who study the history of words) still argue about where the word moneta came from and many think from a Latin word monere to warn. This makes sense to us as the goddess could be warning people when they came to the temple for advice! 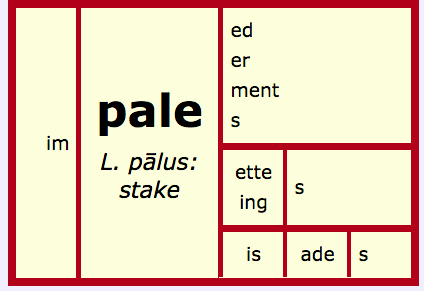 Now from Latin monere, lots of other words have come into English. The Latin suffix <-ere> drops off from the word and we have eventually money in English, a free base element. We do not think there is a suffix <ey> – we see it in words but so far can not prove it to be a suffix. Think about <key>, <they>.. no suffix there. Also from this Latin root monere we get words like admonish which means to tell someone off, in other words warn them against doing something. Monsters were once thought to be a sign of evil approaching, doom, of something bad about to happen so in other words, a warning. So no link between month, moon and money but a link instead between money and monsters!!! What a surprise!! There is a lot to talk about with monster but that’s a story for another time! Read the work on moon conducted by Canadian teacher Skot Caldwell ‘s and his 4th grade class on the blog Who in the World Am I? You might find their work inspiring. And that was it I thought. Interesting but no moon and money connection. Our class continued to get lost in Greek myths, along with Odysseus lost at sea. Then as we read one of our texts D’ Aulaires’ Book of Greek Myths, I remembered the myth of Endymion and Selene. Endymion was a handsome shepherd and the mortal lover of the moon goddess Selene. Selene despaired at the thought of Endymion dying and begged Zeus to grant him eternal life. Zeus granted her wish and put Endymion into eternal sleep so that each night Selene could visit him. Some accounts say Selene and Endymion had fifty daughters! The Greek poet Nonnus of Panopolis says that they were the parents of the beautiful and vain Narcissus. Selene, one of the Titans, is often depicted riding a chariot pulled by horses or bulls across the sky when her brother Helios, the sun god has completed his journey. She wears a crescent moon on her head. 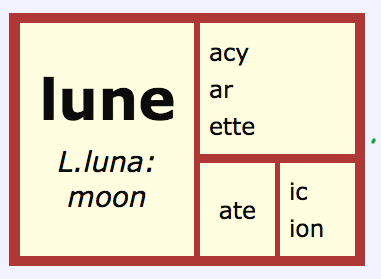 Selene’s Latin equivalent is Luna. The Greek name Selene is from the root σελήνη meaning moon which comes from Greek σέλας meaning ‘light’ or ‘brightness’. This goes even further back to the PIE root *swel- : to shine, to beam and could you dear reader, as you look at that root be making the leap to Old English swelter? And what happens when the weather is hot and humid? Well you become sweltery and the weather is sultry!! Read on at the Etymology Online Dictionary and gasp with amazement at the connections!! Continue to gasp as you read about the etymology of the name Endymion! Even more surprising was the discovery that there is a moon~money link after all. Juno is the Roman equivalent of Hera. As mentioned earlier in this post, coins were minted at her temple. As I failed to recognize earlier, she is goddess of the new moon! Her name means “the young one” from an Italic root similar to Latin iunior “younger,” iuvenis “young”‘. Juno’s name is linked with with juvare (iuvāre) “to aid, benefit”, which led to the Latin compound iuvenescendo, “rejuvenate”. This then is a link to the concept of renewal of the waxing moon. Read about this here and on Online Etymology Dictionary: Juno. So where from here with the grade 2’s? While thinking of month , we’re wondering can you find any other words where <-th> is a suffix? Some of the grade 7’s have been thinking about this and gathering evidence. Here’s a clue for one word where the <-th> is a suffix:When you are cold you look for ……? How do you know the <-th> is a suffix? The relationship of <o> and <u> could be interesting to follow on from this investigation . Month when pronounced is IPA /mʌnθ/ and money as / mʌni/. If sound was the dominant force in the orthographic representation of a word then you might expect ‘munth’ and ‘muney’. However, because the prime purpose of spelling or orthography is about representing meaning (text made visible) then as we can see month and money need to be written with the single grapheme <o> in order to reflect the meaning link between the moon and Monday and Latin monere warning for money.. As the root was Old English OE monaþ, OE monað, or OE monoð,it is the grapheme <o> that surfaces in the present day spelling. The phoneme /ʌ/ can then be represented by both <o> and <u>. The choice of the grapheme will be reflected by the etymology. What about investigating the word love as part of an <o> /<u> inquiry? See Kit 1 K Learning from Love and Kit 4C ‘Letters <o> and <u>: Conventions that concern them’ from Real Spelling. Investigate the story behind the verbs wax and wane? How is the word waist connected? Finally treat yourself to Gina Cooke’s Lex post A Measured Response to Crazy Rumours here and become moonstruck by the connections and interconnections.